Fried dumplings made with bottle gourd with gravy. Lauki or bottle gourd is quite popular in India. 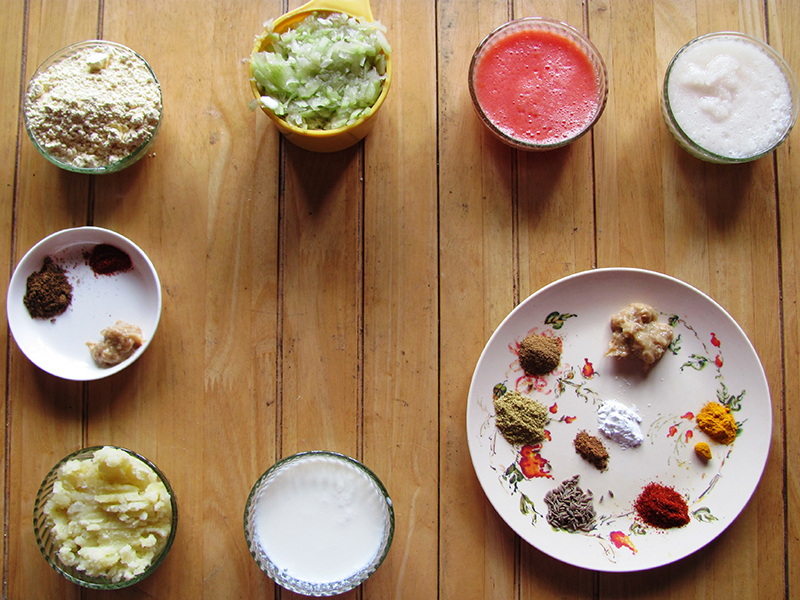 Kofta is something which can be made of different things. It can be non vegetarian as well as vegetarian. Kofta recipes are originally Mughlai Recipes. 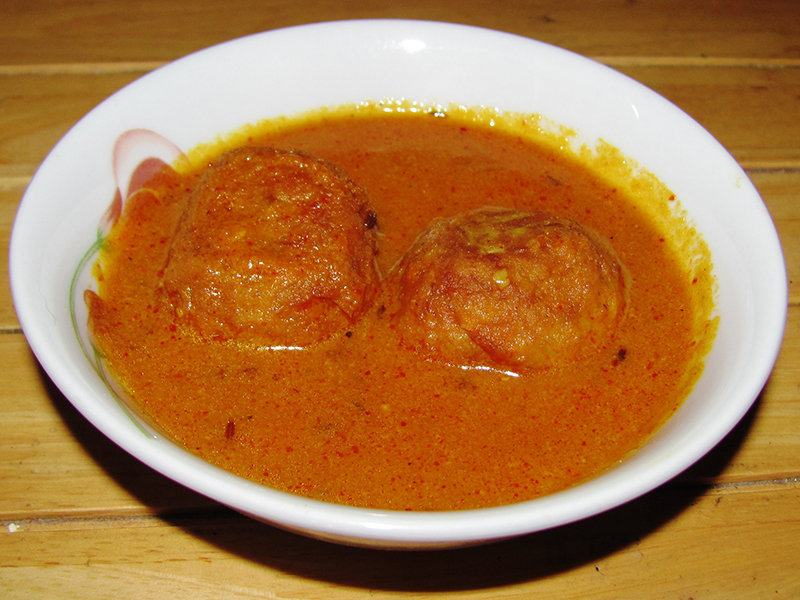 Lauki Kofta is something which vegetarians love. In a large bowl mix the grated bottle gourd, potato , gram flour, ginger garlic paste, red chilli powder, Chaat masala and salt. Make a soft dough. Shape in 8-10 balls. Keep aside. In a frying pan heat sufficient oil for frying the kofta. You can either shallow fry or deep fry the kofta. Once they are golden brown in colour. Remove and keep aside. In a wok heat 3 tbsp oil. Add the cumin seeds. Once they crackle add the onion paste and fry for 5 minutes or till they are light golden brown in colour. Add the tomato paste, red chilli powder. Turmeric powder, cumin powder, coriander powder and salt. Mix and fry till the oil separates from the masala. Mix the cornflour with the milk and keep aside. Add about ¾ cup water to the wok and mix well. Pour the milk and cornflour mixture. Mix well. Add the fried dumplings and cook on high flame till it comes to a boil. Simmer for 10 minutes or till it reaches the desired consistency. Sprinkle the garam masala powder. Mix well.